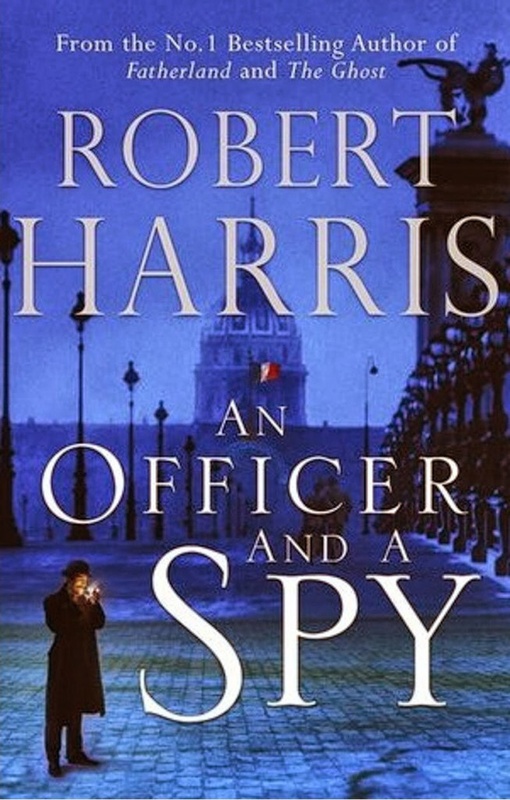 Having read Fatherland, The Fear Index, The Ghost, Archangel, Lustrum and Pompeii by English writer and Journalist Robert Harris, I would like to read his latest Exciting historical Espionage spy Thriller An Officer and a Spys, which won the Walter Scott Prize (2014),and the American Library in Paris Book Award (2014). It tells the true story the Dreyfus Affair and in particular of French officer Georges Picquart who Upon being promoted to run the Statistical Section, the top secret headquarters of French military intelligence, begins to discover that the evidence used to convict Alfred Dreyfus of espionage, which resulted in his imprisonment for life on Devil’s Island, is flimsy at best. So he investigates further, and discovers that the military and the government doctored much of the evidence. So he endeavours to expose the truth about the doctored evidence which sent Alfred Dreyfus to Devil’s Island. However the spy who actually passed the information to Dreyfus, in the first place, is, in fact, still operating. Despite being Warned off the investigation by his superiors, Picquart persists, risking his career and his life to free an innocent man from unjust imprisonment and to stop a spy operating within the military who has gone unpunished. Influential English design engineer, inventor, and builder in the automotive industry, and founder of Lotus Cars Anthony Colin Bruce Chapman CBE, sadly passed away on 16th December 1982, aged 54 after suffering a fatal heart attack. Born 19 May 1928 Chapman studied structural engineering at University College London, joined the University Air Squadron and learned to fly. Chapman left UCL without a degree in 1948, resitting his final Mathematics paper in 1949 and obtaining his degree a year late. He briefly joined the Royal Air Force in 1948, being offered a permanent commission but turning this down in favour of a swift return to civilian life. After a couple of false starts Chapman joined the British Aluminium company, using his civil engineering skills to attempt to sell aluminium as a viable structural material for buildings. In 1952 he founded the sports car company Lotus Cars. Chapman initially ran Lotus in his spare time, assisted by a group of enthusiasts. His knowledge of the latest aeronautical engineering techniques would prove vital towards achieving the major automotive technical advances he is remembered for. He was famous for saying “Adding power makes you faster on the straights. Subtracting weight makes you faster everywhere”, as his design philosophy focused on cars with light weight and fine handling instead of bulking up on horsepower and spring rates. Under his direction, Team Lotus won seven Formula One Constructors’ titles, six Drivers’ Championships, and the Indianapolis 500 in the United States, between 1962 and 1978. The production side of Lotus Cars has built tens of thousands of relatively affordable, cutting edge sports cars. Lotus is one of but a handful of English performance car builders still in business after the industrial decline of the 1970s. Although these days Lotus is owned by the Malaysian Automotive Company “Proton”, Caterham Cars still manufacture the Caterham 7 based on the Lotus 7, and there have been over 90 different Lotus 7 clones, replicas and derivatives offered to the public by a variety of makers. He pioneered many innovations and Many of Chapman’s ideas can still be seen in Formula One and other top-level motor sport (such as IndyCars) today. Such as struts as a rear suspension device. Even today, struts used in the rear of a vehicle are known as Chapman struts, while virtually identical suspension struts for the front are known as MacPherson struts, monocoque chassis construction, the tube-frame chassis, positive aerodynamic downforce, through the addition of wings, moving radiators away from the front of the car to the sides, to decrease frontal area (lowering aerodynamic drag). He also designed a Formula One car that generated all of its downforce through ground effect, eliminating the need for wings, which also had active suspension and a dual-chassis And eventually made its début with the Lotus 99T in 1987. On December 17 1903 The Wright Brothers – Orville and Wilbur, made the first controlled, powered and sustained heavier-than-air human flight in the Wright Flyer at Kitty Hawk in North Carolina. The Wright Brothers spent a great deal of time observing birds in flight & noticed that birds soared into the wind and that the air flowing over the curved surface of their wings created lift. Birds change the shape of their wings to turn and manoeuvre. They used this technique to obtain roll control by warping, or changing the shape, of a portion of the wing and they designed their first aircraft: a small, biplane glider flown as a kite to test this theory. Wing warping is a method of arching the wingtips slightly to control the aircraft’s rolling motion and balance. Over the next three years, Wilbur and his brother Orville designed a series of gliders flown in both unmanned (as kites) and piloted flights. They read about the works of Cayley, and Langley, and the hang-gliding flights of Otto Lilienthal. They corresponded with Octave Chanute concerning some of their ideas. They recognized that control of the flying aircraft would be the most crucial and hardest problem to solve. the Wrights reviewed their test results and determined that the calculations they had used were not reliable. So they built a wind tunnel to test a variety of wing shapes and their effect on lift And This helped them get a greater understanding of how an airfoil (wing) works and they could calculate with greater accuracy how well a particular wing design would fly. They planned to design a new glider with a 32-foot wingspan and a tail to help stabilize it. So during 1902, the brothers flew numerous test glides using their new glider. Their studies showed that a movable tail would help balance the craft and the Wright Brothers connected a movable tail to the wing-warping wires to coordinate turns. With successful glides to verify their wind tunnel tests, the inventors planned to build a powered aircraft. After months of studying how propellers work the Wright Brothers designed a motor and a new aircraft sturdy enough to accommodate the motor’s weight and vibrations. The craft weighed 700 pounds and came to be known as the Flyer. The brothers built a movable track to help launch the Flyer. This downhill track would help the aircraft gain enough airspeed to fly. After two attempts to fly this machine, one of which resulted in a minor crash, Orville Wright took the Flyer for a 12-second, sustained flight on December 17, 1903. This was the first successful, powered, piloted flight in history. He also Provided backing Vocals for I992′s Automatic For The People, A more sombre, reflective album that features string arrangements by Led Zeppelin’s John Paul Jones. 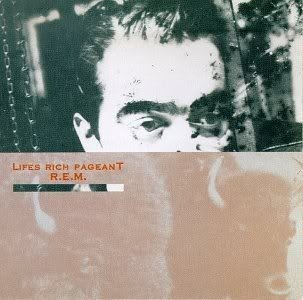 This album was also to yeild some wonderful songs like “The Sidewinder Sleeps Tonight” and “Everybody Hurts”. 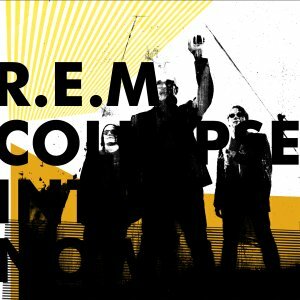 The band’s next two albums Monster and New Adventures In Hi-Fi were largely recorded live – some tracks taken from soundchecks taken during the massive stadium tour, and featured some new classics, such as Let Me In, a tribute to the recently deceased Kurt Cobain. .Mills is also known for his collection of Nudie suits, which he often wears on stage, these are named after a Russian-born American tailor named Nudie Cohn who designed decorative rhinestone-covered suits, known popularly as “Nudie Suits”, and other elaborate outfits for some of the most famous celebrities of his era. Mills was first seen wearing one of these suits in the 1994 video for “What’s the Frequency, Kenneth?” and then throughout the band’s subsequent 1995 tour. Saturnalia was an ancient Roman festival in honor of the deity Saturn Which Was held on December 17 of the Julian calendar and later expanded with festivities through December 23. The holiday was celebrated with a sacrifice at the Temple of Saturn in the Roman Forum and a public banquet, followed by private gift-giving, continual partying, and acarnival atmosphere that overturned Roman social norms: gamblingwas permitted, and masters provided table service for their slaves.The poet Catullus called it “the best of days.”In Roman mythology, Saturn was an agricultural deity who reigned over the world in the Golden Age, when humans enjoyed the spontaneous bounty of the earth without labor in a state of social egalitarianism. The revelries of Saturnalia were supposed to reflect the conditions of the lost mythical age, not all of them desirable. The Greek equivalent was the Kronia. Saturnalia was aRoman holiday and Modern understanding of the festival is pieced together from several accounts. The Latin writer Macrobius, mentions that Saturnalia is a festival of light leading to the winter solstice, with the abundant presence of candles symbolizing the quest for knowledge and truth.The renewal of light and the coming of the new year was celebrated in the later Roman Empire at the Dies Natalis of Sol Invictus, the “Birthday of the Unconquerable Sun,” on December 25.The popularity of Saturnalia continued into the 3rd and 4th centuries AD, and as the Roman Empire came under Christian rule, some of its customs may have influenced the seasonal celebrations surrounding Christmas and the New Year. The statue of Saturn normally had its feet bound in wool, which was removed for the holiday as an act of liberation.The official rituals were carried out according to “Greek rite” (ritus graecus). The sacrifice was officiated by a priest Whose head was uncovered; in Roman rite, priests sacrificed capite velato, with head covered by a special fold of the toga. Following the sacrifice the Roman Senate arranged a lectisternium, a ritual of Greek origin that typically involved placing a deity’s image on a sumptuous couch, as if he were present and actively participating in the festivities. A public banquet followed (convivium publicum).The day was supposed to be a holiday from all forms of work. Schools were closed, and exercise regimens were suspended. Courts were not in session, so no justice was administered, and no declaration of war could be made. After the public rituals, observances continued at home. On December 18 and 19, which were also holidays from public business, families conducted domestic rituals. They bathed early, and those with means sacrificed a suckling pig, a traditional offering. English novelist, poet, critic and editor Ford Madox Ford was born 17 December 1873. He used the name of Ford Madox Hueffer and in 1919 changed it to Ford Madox Ford (allegedly, in the aftermath of World War I because “Hueffer” sounded too German in honour of his grandfather, the Pre-Raphaelite painter Ford Madox Brown, whose biography he had written. In 1894 he married his school girlfriend Elsie Martindale and together they had two daughters Christina (born 1897) and Katharine (born 1900). Between 1918 and 1927 he lived with Stella Bowen, an Australian artist twenty years his junior. In 1920 they had a daughter, Julia Madox Ford One of his most famous works is The Good Soldier (1915), a novel set just before World War I which chronicles the tragic lives of two “perfect couples” using intricate flashbacks. In the “Dedicatory Letter to Stella Ford”, his wife, that prefaces the novel, Ford reports that a friend pronounced The Good Soldier “the finest French novel in the English language!” Ford pronounced himself a “Tory mad about historic continuity” and believed the novelist’s function was to serve as the historian of his own time. Ford was involved in British war propaganda after the beginning of World War I. He worked for the War Propaganda Bureau, managed by C. F. G. Masterman, with other writers and scholars who were popular during that time, such as Arnold Bennett, G. K. Chesterton, John Galsworthy, Hilaire Belloc and Gilbert Murray. Ford wrote two propaganda books for Masterman, namely When Blood is Their Argument: An Analysis of Prussian Culture (1915), with the help of Richard Aldington, and Between St Dennis and St George: A Sketch of Three Civilizations (1915).After writing the two propaganda books, Ford enlisted at 41 years of age into the Welch Regiment on 30 July 1915, and was sent to France, His combat experiences and his previous propaganda activities inspired his tetralogy Parade’s End (1924–1928), set in England and on the Western Front before, during and after World War I.
Ford also wrote dozens of novels as well as essays, poetry, memoirs and literary criticism, and collaborated with Joseph Conrad on three novels, The Inheritors (1901), Romance (1903) and The Nature of a Crime (1924, although written much earlier). During the three to five years after this direct collaboration, Ford’s best known achievement was The Fifth Queen trilogy (1906–1908), historical novels based on the life of Katharine Howard, which Conrad termed, at the time, “the swan song of historical romance.”His poem,Antwerp (1915), was praised by T.S. Eliot as “the only good poem I have met with on the subject of the war”.Ford’s novel Ladies Whose Bright Eyes (1911, extensively revised in 1935) is, in a sense, the reverse of Twain’s novel A Connecticut Yankee in King Arthur’s Court.In 1908, he founded The English Review, in which he published works by Thomas Hardy, H. G. Wells, Joseph Conrad, Henry James,May Sinclair, John Galsworthy and William Butler Yeats, and gave debuts to Wyndham Lewis, D. H. Lawrence and Norman Douglas. In 1924, he founded The Transatlantic Review, a journal with great influence on modern literature. Staying with the artistic community in the Latin Quarter of Paris, he befriended James Joyce, Ernest Hemingway, Gertrude Stein, Ezra Pound[and Jean Rhys, all of whom he would publish (Ford is the model for the character Braddocks in Hemingway’s The Sun Also Rises). Ford says, “I helped Joseph Conrad, I helped Hemingway. I helped a dozen, a score of writers, and many of them have beaten me. I’m now an old man and I’ll die without making a name like Hemingway.” Hemingway devoted a chapter of his Parisian memoir A Moveable Feast to an encounter with Ford at a café in Paris during the early 1920s. During a later sojourn in the United States, he was involved with Allen Tate, Caroline Gordon, Katherine Anne Porter and Robert Lowell (who was then a student). Ford was always a champion of new literature and literary experimentation. In 1929, he publishedThe English Novel: From the Earliest Days to the Death of Joseph Conrad, a brisk and accessible overview of the history of English novels. He had an affair with Jean Rhys, which ended acrimoniouslyFord spent the last years of his life teaching at Olivet College in Michigan, and died in Deauville, France, 26 June 1939 at the age of 65l, However his journals, The English Review and The Transatlantic Review, were instrumental in the development of early 20th-century English literature. He is now remembered best for his publicationsThe Good Soldier (1915), the Parade’s End tetralogy (1924–28) and The Fifth Queentrilogy (1906–08). The Good Soldier is frequently included among the great literature of the 20th century, including the Modern Library 100 Best Novels, The Observer’s “100 Greatest Novels of All Time”, and The Guardian’s “1000 novels everyone must read”.